My teaching partner has a 3 month old baby. 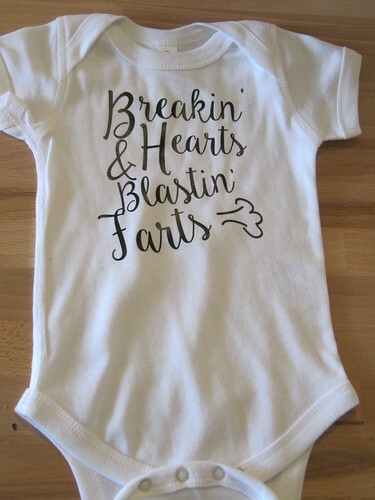 Her husband was dying to have a onsie that said Breaking Hearts and Blasting Farts. I have come to refer to it as the farting shirt when we talk about it! Since they have a boy I couldn't use glitter so I had to use regular vinyl.